First of all, I’d like to thank all of those who nominated a house for Atlantic’s first Home Spotlight! I got to explore a range of unique and wonderful homes and witness the results of the time and dedication their owners have put into every detail of their designs. It was a difficult choice in the end, but the first Spotlight goes to There’s Snow Place Like Home, owned by Evianne! 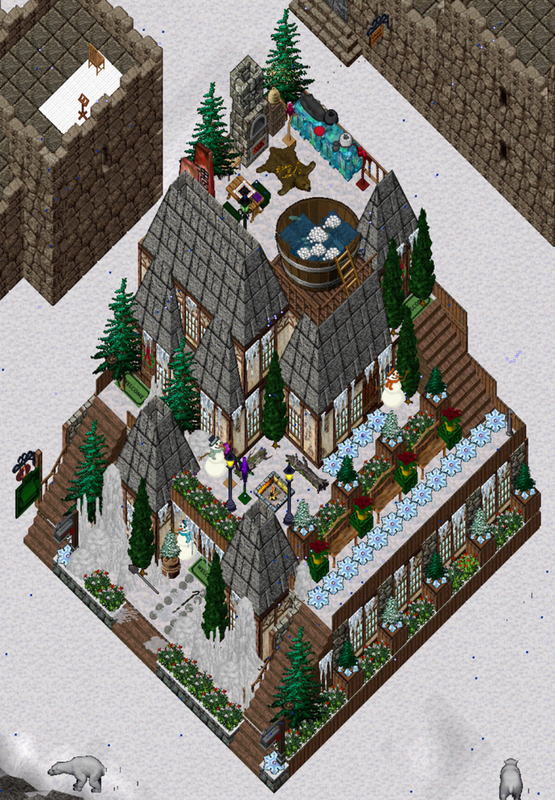 This lovely winter themed home is located at 105*34’N, 176*38’W on Dagger (Ice) Island in Trammel. The main floor features a kitchen, living area and a bathroom, a workshop is located on the second floor and the bedroom can be found on the third. It even has a closet! The fourth floor, accessible by teleporter, boasts a large and inviting hot tub for those cold, snowy nights. Each room is decorated with layers upon layers of winter related items that will leave you exploring this festive yet cozy home for hours. Great job Evianne! Comments Off on Atlantic Home Spotlight! 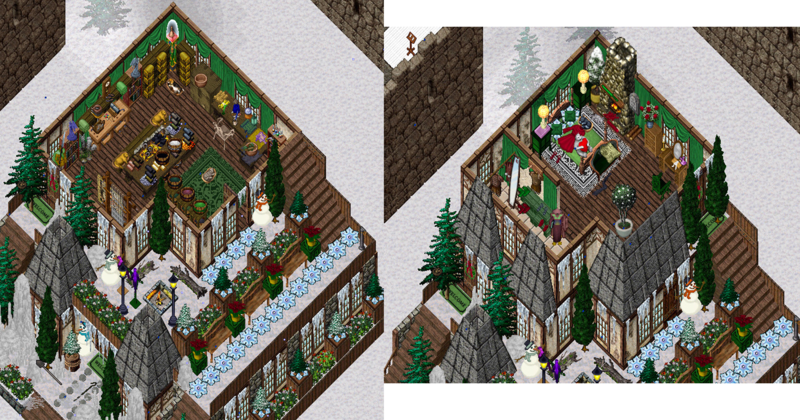 As announced last week by, Lord Grimlex, we have a winner of our first Siege Estates House Decoration Contest. The winner is Ilexia and she was awarded a 1 million gps check for her decoration finesse. Congratulations Ilexia. We would like to thank all the contestants that partook in this test run of the Siege Estates House Decoration Contest which we hope to run, in a more organized manner, monthly. Within the next week or two Grimlex, Flair and I (Delilah the Mad) will post a date for the next contest and the various rules, entry fees and specifics. 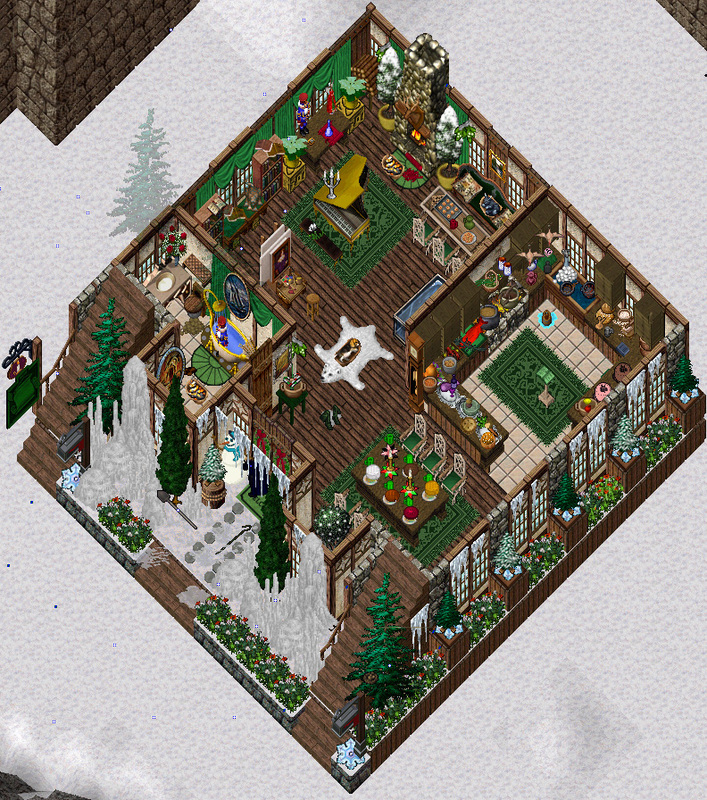 Below I have attached pictures of Ilexia’s winning house. 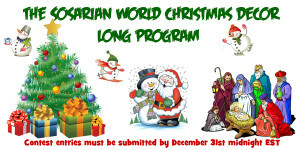 Inspired by the Sosarian World Winter Olympic Games, the World Christmas Décor Long Program is the foremost Shardwide Christmas Decor Contest. To Qualify your Creative Space must be a home in Sosaria on any UO shard. It must be decorated in great & festive Christmas Detail. It must have at least 2 of the 4 technical Elements shown below to qualify. Your program will consist of Screenshots posted (sized according to this sites’ graphics specifications ) below this announcement to qualify showing all your technical elements and at least one showing overall design. Home Owner’s name & Forum Name if different from Home Owner, Shard name, Facet & Co-ordinates to the entered home must be posted to a qualifying forum listed. Single homes, multiple homes & vendor establishments are welcome and will be judged with equal weight. Official Judges will visit your entry. UOHomeDecor will be doing a Tour & Video. Entries must include at least 2 of 4 technical elements and over all presentation including idea, concept, vision and unity. Winners will be contacted via PM on the site that the entry was posted. Two 6.0 scores will be awarded by the Sosarian World Winter Olympic Judges for Technical marks and Creative marks, the sum of which will compile the Total Competition Score. Highest Score will win the following Prizes on the shard of your choice. There will be extra surprise prizes graciously donated by the Sponsors. 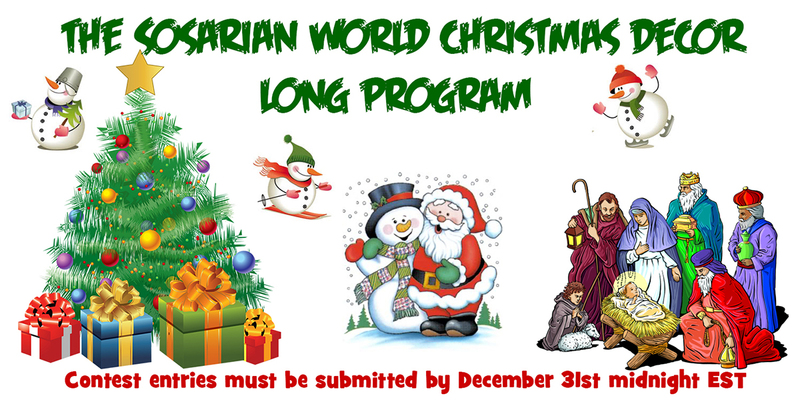 Contest will run from December 1st to December 31st. Winners will be announced on January 1st, 2014. 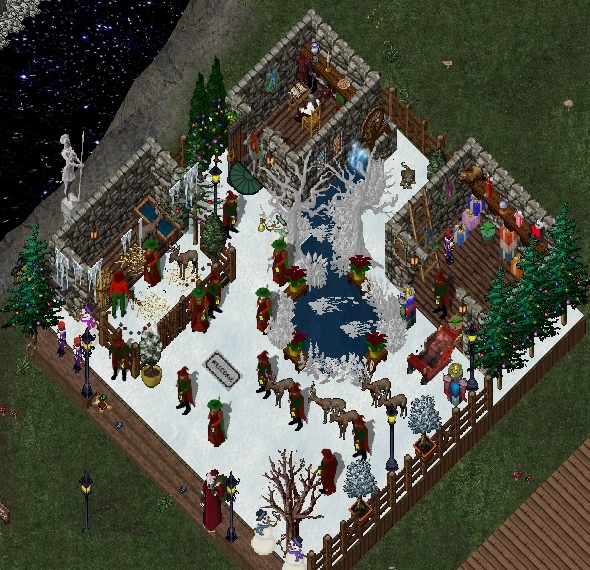 Three Official Entry Collection Sites will include UO Guide’s UO Discussion Forum, Stratics’ UO Homes and Castles Forum & UOForums’ UO Homes & Castles Forum. [email protected] and she will be happy to help you with them. Best Wishes of the Season & Good Luck to All! Community Village Celebrates 10 Years of Service! [TLF] consist of real life ‘family’ members, some who started out on the Beta side and recruited other family members to join because of the fun and connection it offers. Enjoying all aspects of the game from fighting to crafting, the family got together and decided to develop vendor style homes to help with the needs of the guild and community. 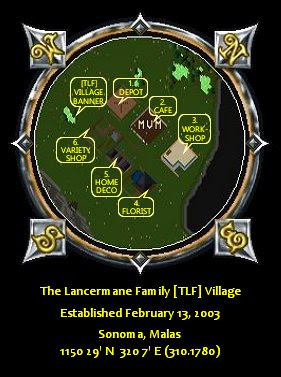 The Lancermane Family Village was originally built in 2001 with a small cluster of ‘shops’ located in Trammel and then expanded to six buildings in 2003 when the landmass of Malas was introduced. Currently with over 250 vendors offering all kinds of goods TLF’s main purpose remains the same … to serve the Sonoma community by offering assistance whenever possible. Guild Motto: All for one and one for all! Comments Off on Community Village Celebrates 10 Years of Service! 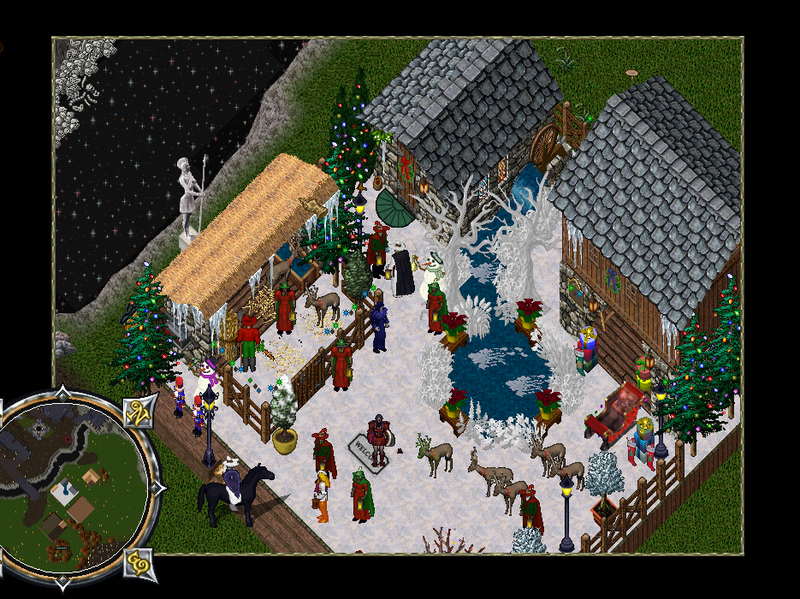 Discovered on his travels by John II SRC of Europa this village scene seems to really capture the spirit of the season. After which she ventured inside to find Santa busy at his desk – no doubt compiling the lists of who’s naughty and who’s nice. Is there a house capturing this spirit on your shard? Let us know and we’ll come with notebook and camera.